Dedicated to fostering civic health and wellness by providing educational opportunities to the larger community. 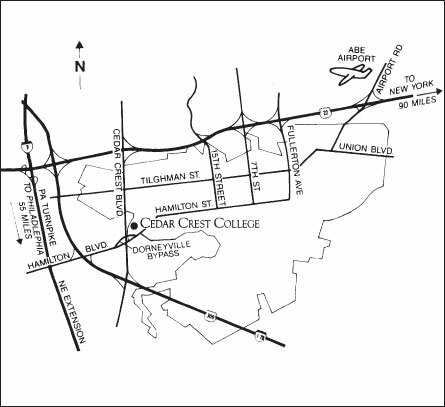 Cedar Crest College is easily accessible via Route 22, Interstate 78, Route 309 and the Northeast Extension of the Pennsylvania Turnpike (I-476 formerly PA Route 9) of the Pennsylvania Turnpike. The campus is one hour from Philadelphia and less than two hours from New York City. From around the Lehigh Valley, take Route 22 West, turn left onto Cedar Crest Blvd. and travel through 5 traffic lights. Turn left into the campus. From Route 22 East, turn left onto Cedar Crest Blvd. and travel through 4 traffic lights. Turn left into the campus. Lehigh Valley). Follow Route 22 East to Cedar Crest Blvd. Turn left onto Cedar Crest Blvd. and travel through 4 traffic lights. Turn left into the campus. From Route 309/I-78, Follow Route 309/78 to the Cedar Crest Blvd. Exit 55 (formerly Exit 17). If traveling 309 S./78 E. turn left on Cedar Crest Blvd. And travel through 5 traffic lights. 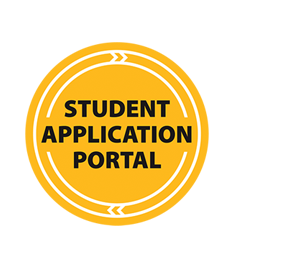 Turn right into campus. If traveling 309 N./78 W. turn right onto Cedar Crest Blvd. And travel through 4 traffic lights. Turn right into the campus.